Our tree is finally being taken care of and we're back to our regularly scheduled programming. So here it is, the post I told you all this mommy blogger would set live yesterday before that tree rudely interrupted our evening. As you all know, Ava and I typically always wear mommy and me bathing suits but we had a beach trip yesterday, just Ava and I, and for the first time in a very long time we didn't match. Like, we didn't even match colors or styles or anything whatsoever. Crazy, right? 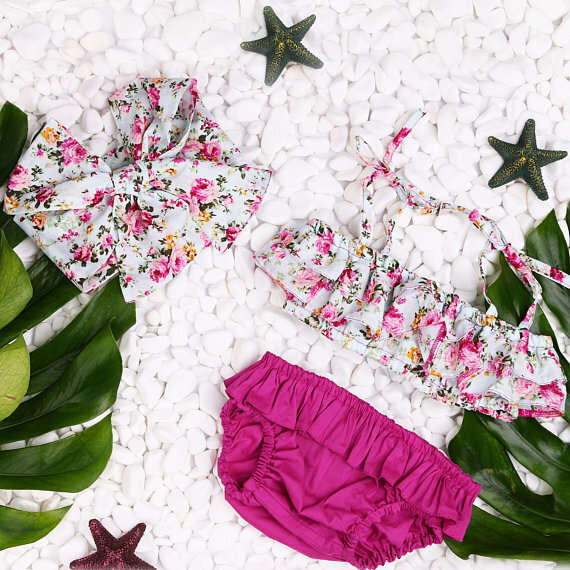 I'm willing to spend a pretty penny to snag mommy and me bathing suits I love but when it comes to baby + toddler swim suits that are just for her, I look for cute and inexpensive kids bathing suits. Because I know she will just grow out of them in one summer anyways! 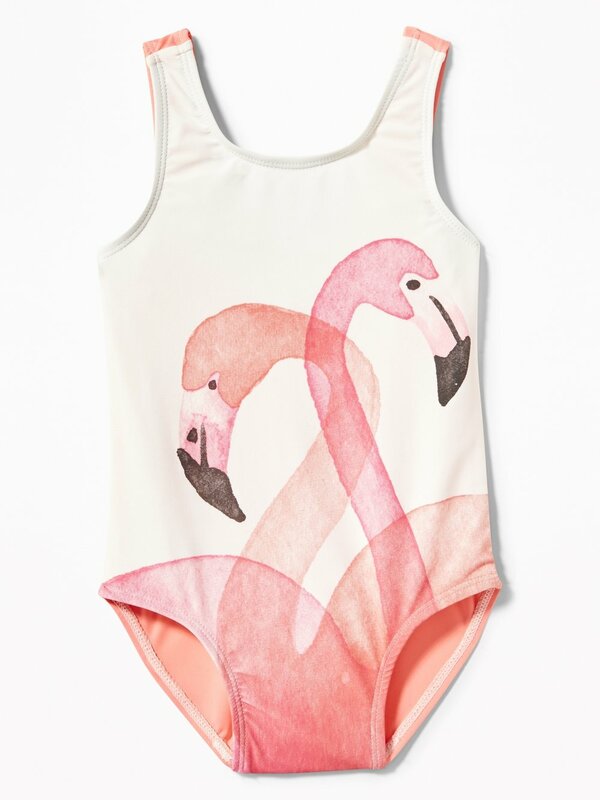 So I went through the websites of all of the places we shop for cute baby bathing suits and found the ones I love the most. Basically, I did the back end work for ya and you can thank me for that later. just click on the image and it will take you right to where you can buy it!